Could you include a log file of the problem? Roxios should work. Is the device plugged in to it active? 1.) Close OBS if it's open. 4.) 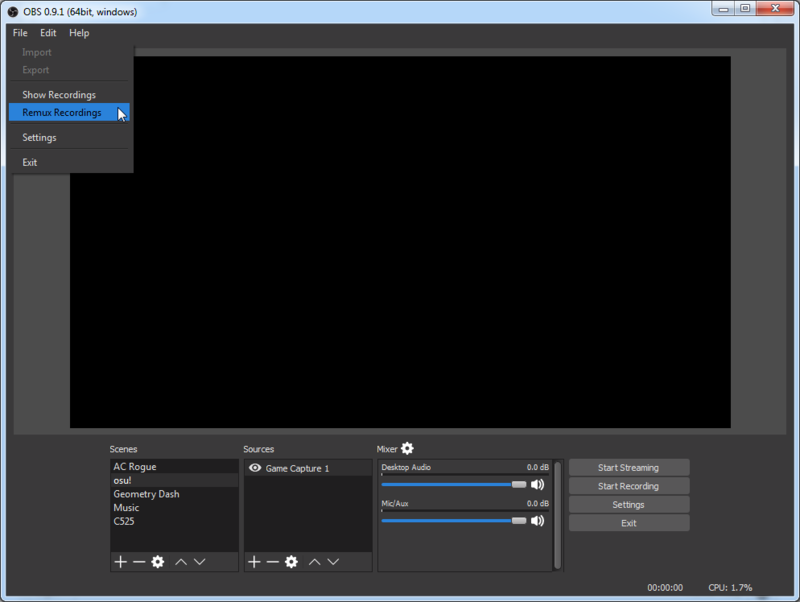 Open OBS again and see if it works. and why doesnt it show that my roxio is recording sound? Follow those instructions if you haven't; it should fix the sound. @Cullen You can remux your recordings from flv to mp4 (if that is already enough for you).